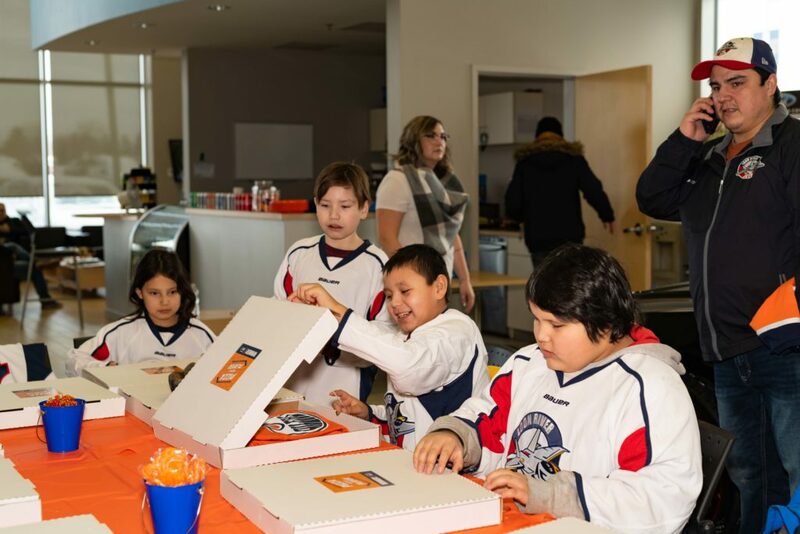 What’s better than winning a pizza party for your hockey team? 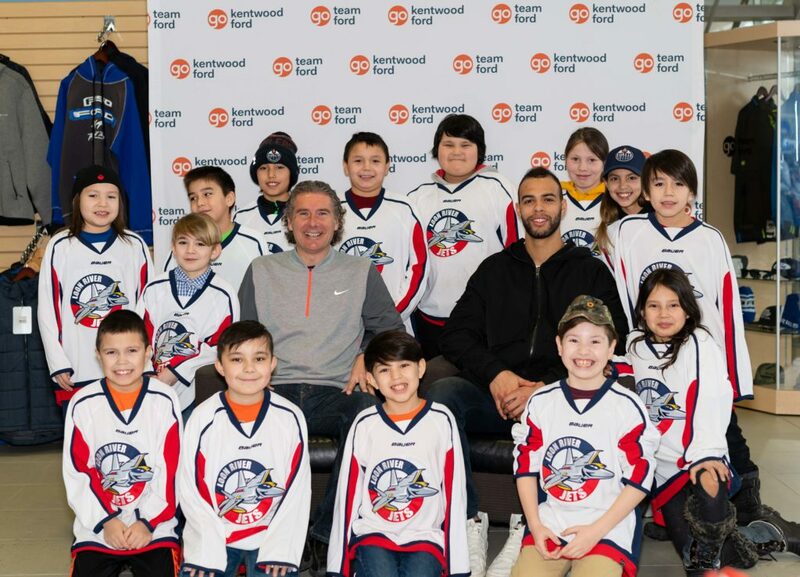 Winning a pizza party for your hockey team with the Edmonton Oilers’ Darnell Nurse! That was the case for the Loon River Jets, who were the lucky winners of Team Ford’s “Pizza with a Player” contest! The team drove 5 hours to meet the professional NHL defenseman, and pick his brain over some delicious Pizza 73! 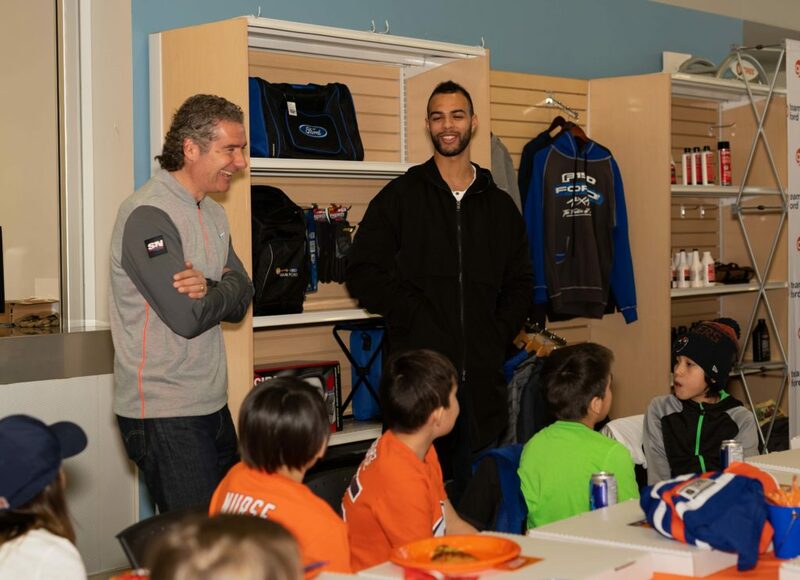 Joined by Sportsnet’s very own Gene Principe, Darnell Nurse took the time to sign some autographs, snap some photos, and answer all the kids’ questions! What did the kids want to know? 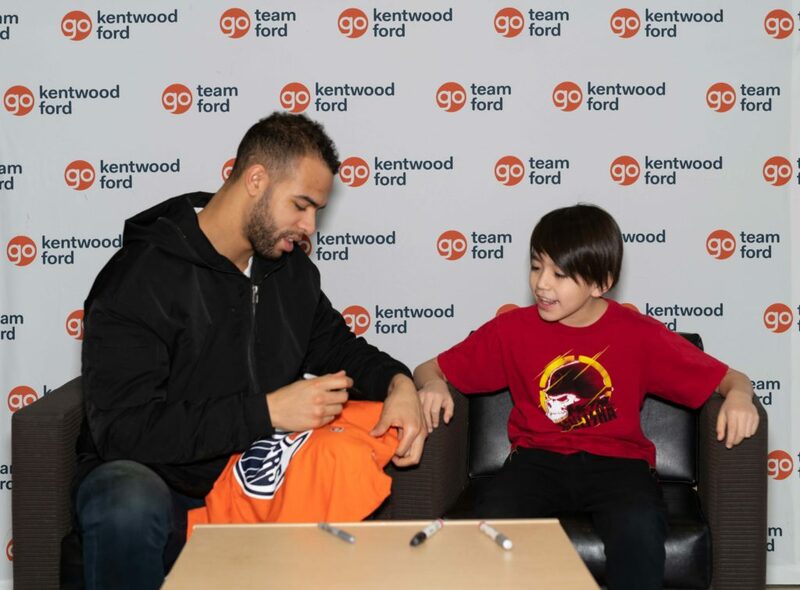 Obviously, Nurse fielded plenty of questions about his NHL career—what kind of food does he eat before a game, his relationship with Oilers Captain Connor McDavid, and who his favourite team to play against is. He was also asked about his sister, the WNBA’s Kia Nurse. And, of course, the kids wanted to know what Darnell’s gamer ID is, and if he plays the NHL video games. Overall, it was a great event, and the Jets had a great time at Team Ford getting to know one of their hockey heroes!